Seattle, WA thrashers Fallen Angels, return in 2015 with their third studio release ‘World In Decay’ produced by Grammy winning metal producer/engineer Michael Rosen (Forbidden, Testament, Death Angel, Flotsam and Jetsam, Tesla, Vicious Rumors) to follow 2011’s ‘Engines of Oppression’ and 2008 debut ‘Rise From Ashes’. The band captures the classic thrash sound of the Big Four in their prime; early Metallica, Testament, Slayer, and Megadeth as well as lesser known cult heroes Exodus, Annihilator, Forbidden and Havok. Influenced by a wide range of 80’s thrash as well as classic metal from the 70’s and 80’s, the band combines these elements in a fresh, modern sounding album with the explosive riffs and solos that one might have expected to hear on the radio around 1989. 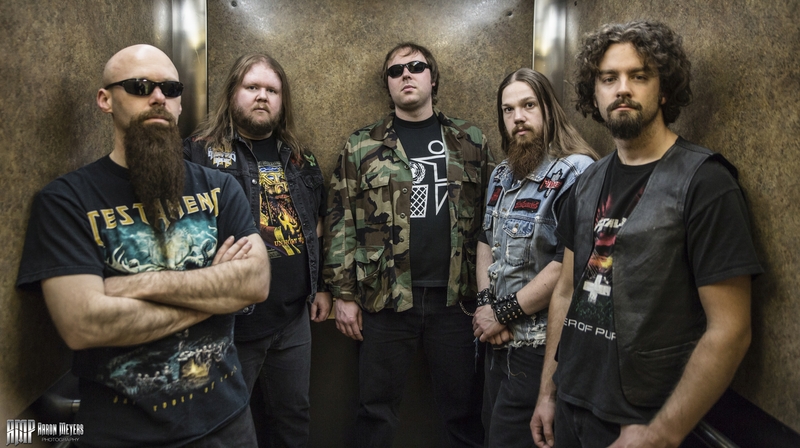 Fallen Angels is a band that thrash fans and more classic metal oriented fans can agree on because the music is catchy but also very aggressive. 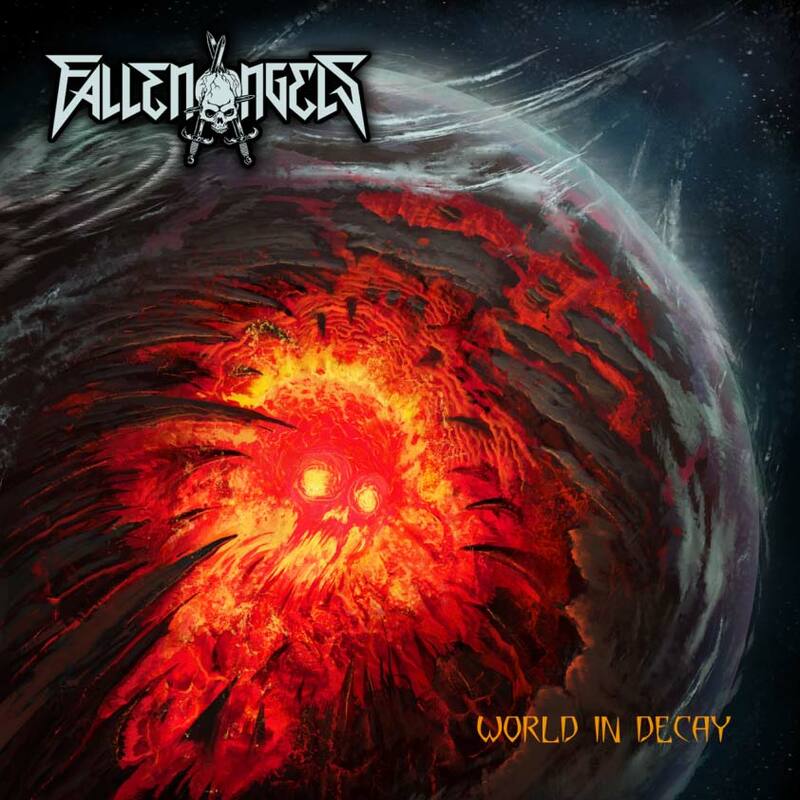 Fallen Angels will release their third full length album called “World in Decay” on August 4th via Cyberdyne Records. This third record is fresh off the press and will soon be spread across the country. The band plans to tour for this album extensively in the summer 2015, bringing an explosive live show full of thrash and shred! They have been playing locally often and have become a local favorite in the Pacific Northwest because of their great sound and awe inspiring stage performances. Now it is time for the band to expand their audience beyond the Pacific Northwest and gain exposures in the many great metal scenes the Western region has to offer. Don’t miss these shows! Fallen Angels leave Seattle on July 18th and will return home August 15th. Testament, Exodus, Flotsam & Jetsam, Sanctuary, Havok, Forbidden, Artillery, Onslaught, Loudness, Obituary, Cannibal Corpse, Incantation, Sadus, Dragonlord, and Deceased.